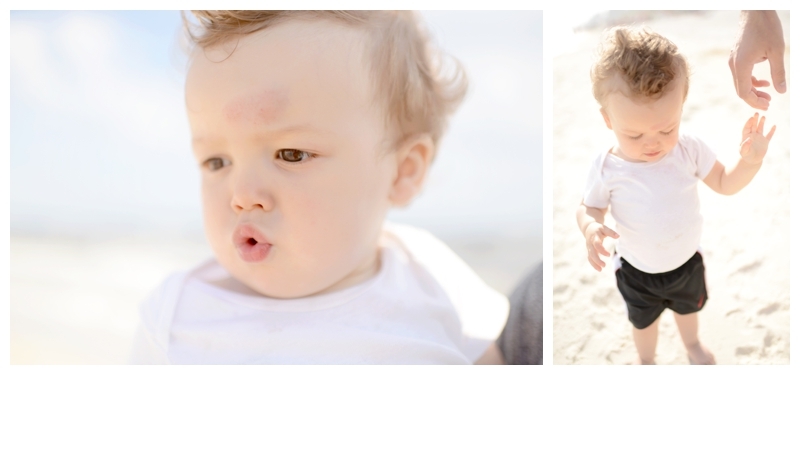 Last year when you were around 5 month old, we took you to Hilton Head. It was a great family vacation, even though we were not able to do much. I couldn't wait to take you to the beach the next year, when you could play in the sand, swim in the pool, and not have to nurse every two hours like you did back then! So, at almost 15 months old, we were on our way to that vacation. A vacation to do all of the things above. It was going to be so amazing! Unfortunately, you hate the sand. You don't like your hands being dirty. The only thing on the beach you were interested in were the sea gulls and the snacks that were in the beach bag. You were also getting two molars and having a really rough time with them. Well, no problem. We could work around those things...it is still the beach..in Florida..we could still have a good time. Let me backtrack a minute. Before we left for vacation, I showed your daddy the forecast of rain on a couple days that we were going to be down there. You daddy said something like, "Oh, it's Florida...when it rains there it clears up and goes away fast. It isn't like here." Well Carter, your daddy was WRONG! The silver lining was that we did get about 2 days of sunshine and we got LOTS of family time. We weren't working, cleaning house, running errands, etc. We were just together. That was nice.